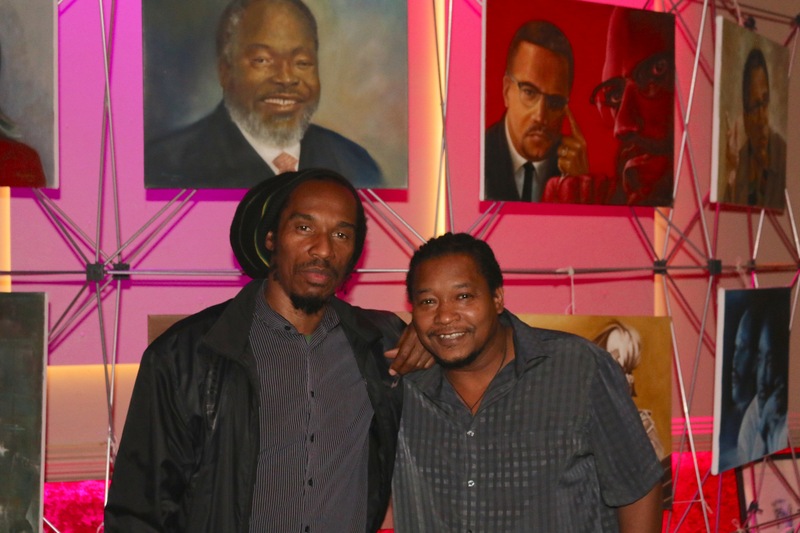 I was really chuffed when our poet laureate Charley Genever asked me if I would be interested in showing my Black Heroes collection of paintings at her Freak Speak event, for Black History Month. As I can never say no to showing art or talking about art, even before the cuppa and cake at Bewiched was finished, I had already said yes. The event took place on the 7th October and was held at Radius on Northminster Road in Peterborough. The main featured poets were Deanna Rodger, Dean Atta and Adam Kammerling, along with guest poets from London and Birmingham. I got to the venue early to set up my exhibition and while being there listening to some of the warm up performances, I couldn't wait until the evening for the full event. And what an exciting evening of spoken words and entertainment it turned out to be. The audiences were treated to goody bags on their arrival, all stacked with noise making impliments to help the evening along. We were even treated to a surprise celebrity guest in the form of master poet Benjamin Zephaniah. I even managed to get a cheeky pic of him standing in front of my Heroes collection. I have been planning to add him to the collection for a few years now... maybe we'll get there soon.